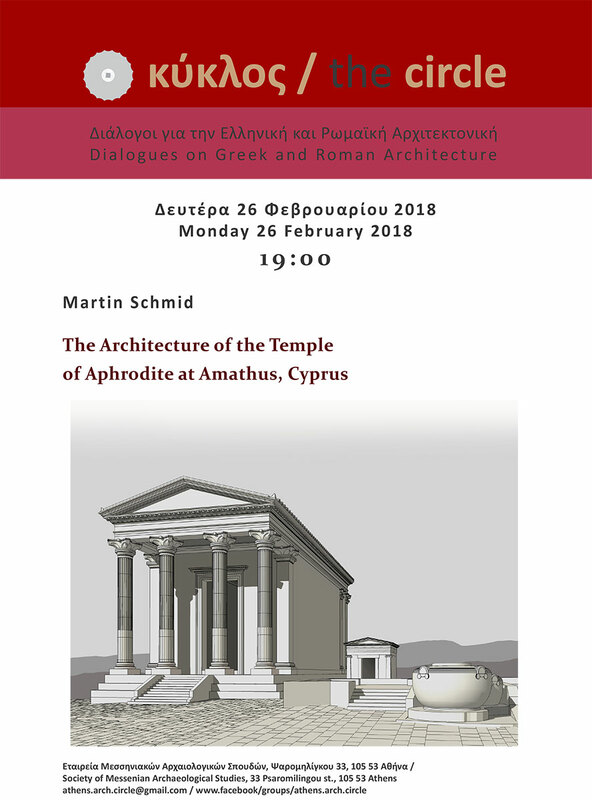 Martin Schmid has will address the topic “The Architecture of the Temple of Aphrodite at Amathus, Cyprus”. The lecture is part of the “circle – Dialogues on Greek and Roman Αrchitecture” seminar series. and myself, has just been submitted for publication. three which, according to Tacitus, had the privilege of granting the right of asylum. pilasters. Only 4 columns were detached on the front. plan and the facades but also the inner decoration.